I am a patent litigator, and I have participated in dozens of Markman or claim construction hearings both as a lawyer and as a litigation consultant. The results of some of my cases (where a Markman hearing has occurred) are on the lists of top patent litigation damages awards of all time. It was true in my cases as it is in essentially all patent cases that without a successful Markman outcome a successful trial is unlikely. This is even more true today as we near the Federal Circuit’s en banc ruling in Lighting Ballast Control LCC v. Philips Elec. N. Am. Corp., where the degree of deference to be given a district court’s claim construction will be decided. It seems clear that some deference will be conferred to the district courts as claim construction fact finders. If you don't know, the term "Markman" refers to the 1996 Supreme Court case of Markman v. Westview Instruments where the Court held that a judge should decide what the language of a patent means as a matter of law and not a jury. 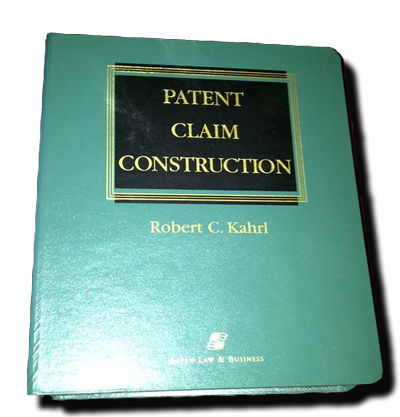 In patent litigation, a Markman hearing is also called a claim construction hearing. 1. Know your judge: There are many ways to learn about your judge. A2L published an article recently called 21 Ingenious Ways to Research Your Judge. That is a big help, and I think it pretty well covers what you need to do. Some other things to consider about your judge are whether he/she is technically savvy (or whether he/she merely believes him(her)self to be so)? ; does he have a lot of patent experience? ; does he appreciate the use of demonstratives and, if so, does he have a preference for type (electronic, boards, models, etc.)? ; is he prone to following counsel’s proposed constructions or “going his own way”? There are many more considerations, but these will help you prepare your arguments and presentation style. 2. Understand your tech tutorial procedure: Not all cases require a tech tutorial, but for those that do, learn what your judge prefers. Some judges like to conduct a separate tech tutorial live event where he will entertain live presentation from counsel or an expert and have the opportunity to ask questions. This is not common and I was a bit surprised to have been engaged in such a hearing recently, but it is one way for the judge to go. Some like to have electronic tutorials of 30 minutes in length submitted to them. This will be a packaged presentation with graphic animations and voice over scripting, in most cases. Other judges like to merge a tech tutorial with a Markman hearing. 3. 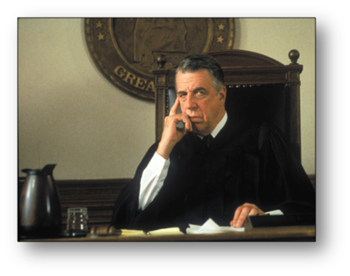 Consider a Mock Markman exercise: A mock Markman hearing is not for every case. There are natural challenges with it, especially trying to model the anticipated behavior of your judge. But, if you’re trying to hone your claim construction positions, develop strategic plans for your argument, and/or see how you come off in oral argument, a mock exercise is a great way to do it. Also, you can keep costs down by just engaging a litigation consultant with patent experience to evaluate your presentation (along with any co-counsel you want included), or you can add evaluators like PhD psychologists and/or retired judges. 4. Work with your expert: Sometimes an expert participates in a Markman hearing. When they do, their presentation is critical to your success. Even if your expert is not participating in the claim construction, he or she will later be presenting a report and testifying in depositions and in court, so you all had better be on the exact same page during this crucial first step and all along the way. I encourage you to work with your litigation consulting and graphics team to prepare the expert for what’s to come. 5. Practice: They call it the practice of law, but nobody seems to be doing much practicing. At A2L, we advocate for a 30:1 ratio of practice time to presentation time. You need to be able to present your case without notes and without relying on your graphics as a crutch, while also speaking to and effectively using your demonstratives for support and persuasion. Don’t be afraid to “fail” or look bad in practice (which I find to be a trait commonly holding back attorneys). 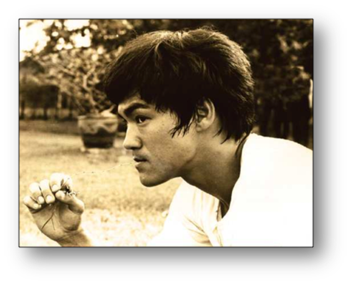 As Bruce Lee once said, “[m]istakes are always forgivable, if one has the courage to admit them.” Make all the “mistakes” during practice so you have a flawless victory at the hearing. 6. Know what are your must-win points:. This requires carefully considering how you’ll win your case and/or why you’ll lose your case. Know where the landmines are (as they relate to your claim language in dispute) relating to infringement and validity. Know what you can still lose at the Markman stage without losing the war. Likewise, know what you can’t lose and focus your energy and spectacular logic there. You MUST plan for every contingency. 7. Set up some okay to lose points: Per the last point, there will be plenty of claim terms in dispute that, regardless of who wins, it won’t matter to you. Like a well-trained judo master, you can make a big deal about these with opposing counsel as a lure for their argument at your Markman, while knowing that you’ll be focusing on the terms that are your “must-wins,” as discussed above. 8. Make sure your paper is perfect: Generally, you will submit your Markman brief before your hearing. It is an opportunity to win on paper, which happens often. Look at your brief as an opportunity to familiarize the judge with the technology at issue while of course encouraging the best claim construction possible. Take the opportunity to insert professionally crafted graphics into the brief to make your key points. Also, your brief is also going to be representative of you and your client, so make sure it’s well written, easy to read, and grammatically and typographically flawless. I was surprised to recently read an opposing party’s Markman brief that was rife with typos and poor grammar. In my opinion, this is unforgivable. 9. 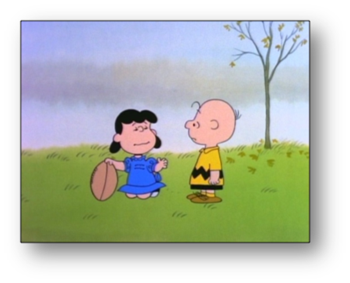 Start your graphics early: Conducting a Markman hearing without graphics is patent litigation suicide. At a minimum, you are going to want to show the claim language and probably a lot of the patent specification and drawings. You’ll likely also want to refer to and show parts of the prosecution history. You should go further of course. If the technology is particularly complex, you’ll want to explain it visually so the judge has no question what he/she is dealing with. 10. Try to come to an agreement with opposing counsel on as many disputed terms as possible. Point it out to the judge that a lot has been resolved independent of him. He will appreciate the collegial spirit of the parties and it will pay off down the road. On the terms you cannot agree on, have a rock solid reason for your refusal to agree. This reason must flow from the intrinsic record and must never appear to be an infringement-focused or validity-focused rationale. 11. Finally, I’m not a fan of offering the court alternative claim constructions. When you want a claim term construed a certain way, stick with it. For example, if the term’s plain and ordinary meaning is what you think is proper, don’t offer a “next best” interpretation. Tell the judge what the plain and ordinary meaning is. If he thinks it warrants inclusion in his construction order, that will be the construction you want him to use later, whether it’s called the plain meaning or not. I believe you’re either right about a construction or wrong about it. Pick one. Consider registering for a free Oct 16 patent litigation webinar on - click here to learn more.